L ife comes in cycles. Frozen winter ice thaws into lush spring gardens, the oceans tide ife comes in cycles. Frozen winter ice thaws into lush spring gardens, the oceans tide crashes to shore before retreating to the coast, and the moon shines bold and full until crashes to shore before retreating to the coast, and the moon shines bold and full until shadows hide her away in the night. shadows hide her away in the night. Life comes in cycles and music is no different; in fact, for me, music is life. Life comes in cycles and music is no different; in fact, for me, music is life. One must only turn the radio on to hear these cycles for themselves. Hear the driving One must only turn the radio on to hear these cycles for themselves. Hear the driving beats of the latest pop song? It’s the same sounds of the 1980’s and, in most cases, the beats of the latest pop song? It’s the same sounds of the 1980’s and, in most cases, the same equipment - the omnipresent synthesized drum kit. The new, captivating melodies same equipment - the omnipresent synthesized drum kit. The new, captivating melodies of mainstream hits are often written by the likes of J.C. Bach centuries ago. Perhaps the of mainstream hits are often written by the likes of J.C. Bach centuries ago. Perhaps the ultimate example is the love song, which typically consists of the same few words and ultimate example is the love song, which typically consists of the same few words and chords as most others in the past few decades. chords as most others in the past few decades. Unlike the cycles of the cosmos, the cyclical nature of music comes from a more human Unlike the cycles of the cosmos, the cyclical nature of music comes from a more human element: nostalgia. element: nostalgia. Longing for the past is a constant theme in music, both in performance and design. It’s Longing for the past is a constant theme in music, both in performance and design. It’s a familiar, even comforting, element that resonates with audiences around the world. a familiar, even comforting, element that resonates with audiences around the world. Just listen to the wildly popular Postmodern Jukebox, a musical group that revises Just listen to the wildly popular Postmodern Jukebox, a musical group that revises contemporary pop music into the styles of decades past, and these cycles become more contemporary pop music into the styles of decades past, and these cycles become more evident still. evident still. Now, like a long held breath finally exhaled, the stage is set for a musical revolution, an Now, like a long held breath finally exhaled, the stage is set for a musical revolution, an embrace of authentic, impactful, and timeless sound that has been nearly forgotten but embrace of authentic, impactful, and timeless sound that has been nearly forgotten but was once a staple of vinyl collections and radio broadcasts for the middle of the twentieth was once a staple of vinyl collections and radio broadcasts for the middle of the twentieth century. It’s time for the distinguished sound of Western Swing and classic country. century. It’s time for the distinguished sound of Western Swing and classic country. With a deliberate focus on maintaining the authentic sounds of yesteryear, the Suwannee With a deliberate focus on maintaining the authentic sounds of yesteryear, the Suwannee Swing Saloon has been met with feverous receptions among large, divers crowds and Swing Saloon has been met with feverous receptions among large, divers crowds and media intrigue at the audacity of this daring revival. media intrigue at the audacity of this daring revival. Music is my life and this is music I love. From what I have seen from the crowds and Music is my life and this is music I love. From what I have seen from the crowds and support, it appears that I am far from alone in this love of timeless music. It is my greatest support, it appears that I am far from alone in this love of timeless music. It is my greatest hope that I and my friends can share this love with you. hope that I and my friends can share this love with you. Western Swing was once one of the most popular music genres in America. At one time Western Swing was once one of the most popular music genres in America. At one time or another there were Western Swing LP’s lining the shelves in record stores selling or another there were Western Swing LP’s lining the shelves in record stores selling millions of copies, and an unending chain of sound being broadcast over the radio millions of copies, and an unending chain of sound being broadcast over the radio waves. Over time listeners have found it increasingly difficult to seek out the talent and waves. Over time listeners have found it increasingly difficult to seek out the talent and atmosphere that is so famously associated with the genre. Following the turn of the 20th century, and the advent of the wireless radio, music, in Following the turn of the 20th century, and the advent of the wireless radio, music, in all forms, was made highly accessible to listeners, and led to great opportunity for all forms, was made highly accessible to listeners, and led to great opportunity for composers, songwriters and performers to reach an ever growing audience. Not long composers, songwriters and performers to reach an ever growing audience. Not long after, Western Swing took a leading role in spreading joy from coast to coast. With a after, Western Swing took a leading role in spreading joy from coast to coast. With a heavy focus on improvisation, the listener finds the music sounding consistently fresh, heavy focus on improvisation, the listener finds the music sounding consistently fresh, even after many listens. A classic American sound: An amalgamation of all-American genres including blues, A classic American sound: An amalgamation of all-American genres including blues, bluegrass, country, and Dixieland jazz blended with Swing. The finest examples of the bluegrass, country, and Dixieland jazz blended with Swing. 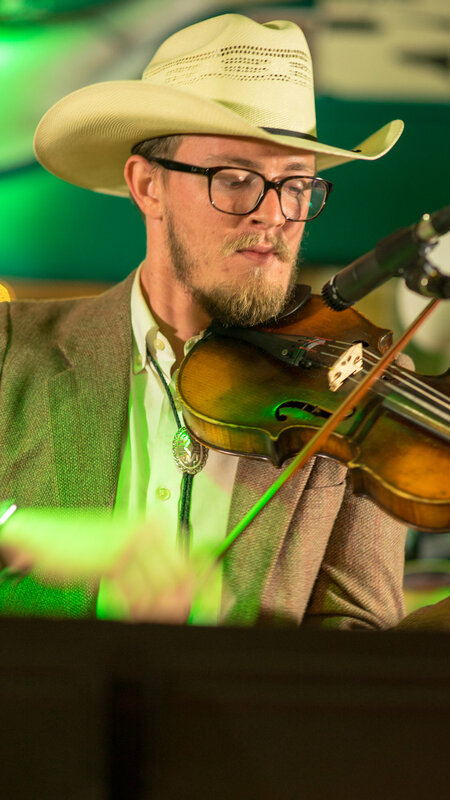 The finest examples of the genre are performed by a hot string band, fiddle forward with a swinging rhythm section. 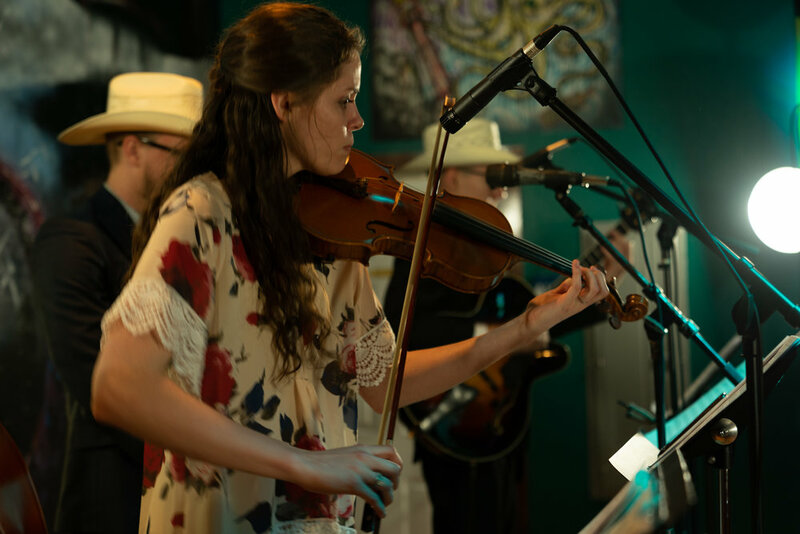 genre are performed by a hot string band, fiddle forward with a swinging rhythm section. It is dance music, often with an up-tempo beat which is sure to put a spring in the step of It is dance music, often with an up-tempo beat which is sure to put a spring in the step of even the clumsiest of dancers. The irresistible sound was met with attendance of huge even the clumsiest of dancers. The irresistible sound was met with attendance of huge crowds to dance halls and clubs in Texas, Oklahoma and California in the 1930s and 1940s. crowds to dance halls and clubs in Texas, Oklahoma and California in the 1930s and 1940s. 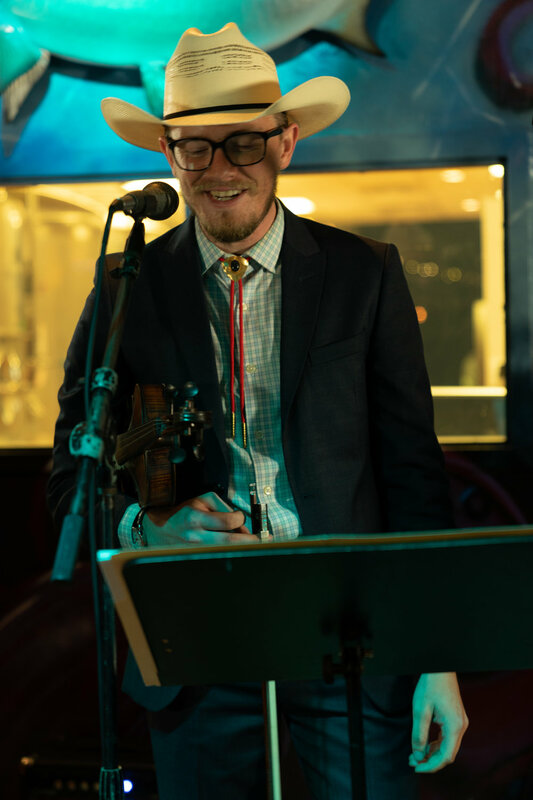 Suwannee Swing Saloon brings this classic music genre back to the forefront of popular Suwannee Swing Saloon brings this classic music genre back to the forefront of popular entertainment. With a bold undertaking that has been met with great interest and entertainment. With a bold undertaking that has been met with great interest and support, a comeback of Western Swing is proving to be precisely what people have been support, a comeback of Western Swing is proving to be precisely what people have been missing. We provide a show that pleases both newcomers and veteran listeners; an missing. We provide a show that pleases both newcomers and veteran listeners; an experience that is friendly, fun, inspiring and unforgettable.